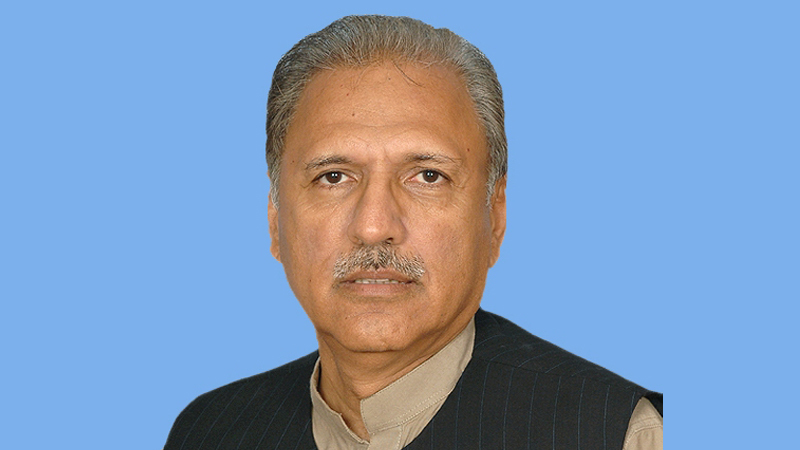 Srinagar: Pakistan President Dr Arif Alvi will address a special session of the Azad Jammu and Kashmir (AJK) Legislative Assembly on Tuesday to reiterate Pakistan’s support to “Kashmir’s freedom struggle”. Pertinently, Pakistan in celebrating Kashmir Solidarity Day on Tuesday, Feb 5. The Pakistan president’s address will be one of the several events and ceremonies scheduled to mark ‘Kashmir Solidarity Day’ across Pakistan, reports quoted secretary Jammu Kashmir Liberation Cell (JKLC) as having said. Besides, President’s address, the secretary said, on Feb 4, a speech contest on Kashmir, among 10 students drawn from as many PaK districts after local competitions, would be held in Muzaffarabad and first three position holders would be given Rs 80,000, Rs 60,000 and Rs 40,000, respectively, in cash. The same evening, a candle light vigil would also be held at Nalochi Bridge, he added. Of Feb 5, he said, sirens would be sounded across the country at 10am following which one-minute silence would be observed. Human chains would be formed at all five points linking PaK with Pakistan to manifest everlasting bonds of brotherhood between the people of Pakistan and Kashmir, he said, adding, the major of these events would however be held in Kohala, with ministers and legislators from all four provinces among the participants. In Islamabad, Pakistan’s capital city, he said artists from Muzaffarabad would present a special stage drama “Aey mere Kashmir,” a puppet show and Kashmiri songs at Pakistan National Council of the Arts (PNCA) auditorium with the cooperation of PNCA, Kashmir Cultural Academy and Ministry of Kashmir affairs. Federal Kashmir affairs minister Ali Amin Gandapur would open “Kashmir Festival” at Lok Virsa where Kashmiri culture and Indian repression would be highlighted, he added. He expressed the hope that media would give full coverage to all these events to help participants send their message across the world in general and across the LoC in particular.